Lilian lowery | Help Change The World. The Future Of The County Is Now. It’s important to realize that just because someone holds a position of leadership, doesn’t necessarily mean they should. Put another way, not all leaders are created equal. The problem many organizations are suffering from is a recognition problem – they can’t seem to recognize good leaders from bad ones. 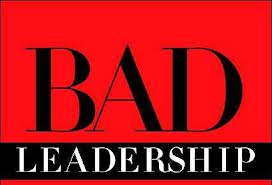 In today’s column we will address how to identify bad leaders by pointing out a few things that should be obvious, but apparently aren’t. 1. Leaders who can’t see it, probably won’t find it: Leaders without vision will fail. Leaders who lack vision cannot inspire teams, motivate performance, or create sustainable value. Poor vision, tunnel vision, vision that is fickle, or a non-existent vision will cause leaders to fail. A leader’s job is to align the organization around a clear and achievable vision. This cannot occur when the blind lead the blind. 2. 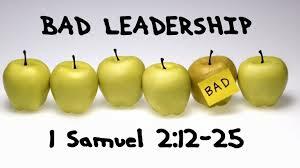 When leaders fail to lead themselves: A leader who lacks character or integrity will not endure the test of time. It doesn’t matter how intelligent, affable, persuasive, or savvy a person is, if they are prone to rationalizing unethical behavior based upon current or future needs, they will eventually fall prey to their own undoing. Optics over ethics is not a formula for success. 3. Put-up or shut-up: Nothing smacks of poor leadership like a lack of performance. Nobody is perfect, but leaders who consistently fail are not leaders, no matter how much you wish they were. While past performance is not always a certain indicator of future events, a long-term track record of success should not be taken lightly. Someone who has consistently experienced success in leadership roles has a much better chance of success than someone who has not. It’s important to remember unproven leaders come with a high risk premium. Smart companies recognize potential, but they reward performance. 4. Beware the know-it-all: The best leaders are acutely aware of how much they don’t know. They have no need to be the smartest person in the room, but have the unyielding desire to learn from others. I’ve often said, leaders who are not growing cannot lead a growing enterprise. One of the hallmarks of great leaders is their insatiable curiosity. If a leader isn’t extremely curious about every aspect of their organization, trust me when I say there are huge problems on the horizon. 5. When there’s a failure to communicate: When leaders are constantly flummoxed by those who don’t seem to get it, there exists both a leadership and communications problem. Show me a leader with poor communication skills and I’ll show you someone who will be short-lived in their position. Great leaders can communicate effectively across mediums, constituencies, and environments. They are active listeners, fluid thinkers, and know when to dial it up, down, or off. 6. It’s all about them: If a leader doesn’t understand the concept of “service above self” they will not engender the trust, confidence, and loyalty of those they lead. Any leader is only as good as his or her team’s desire to be led by them. An overabundance of ego, pride, and arrogance are not positive leadership traits. Real leaders take the blame and give the credit – not the other way around. Long story short; if a leader receives a vote of non-confidence from their subordinates…game over. 7. Sing a little Kumbaya: While love and leadership are certainly two words you don’t often hear in the same sentence, We can assure you that rarely does great leadership exist without love being present and practiced. In fact, if you examine failed leaders as a class, you’ll find that a lack of love, misplaced love, or misguided love were a contributing cause of said failures, if not the root cause. Empathy, humility and kindness are signs of leadership strength – not weakness. 8. One size fits all leadership style: The best leaders are fluid and flexible in their approach. They understand the power of, and necessity for contextual leadership. “My way or the highway” leadership styles don’t play well in today’s world, will result in a fractured culture, and ultimately a non-productive organization. Only those leaders who can quickly recognize and adapt their methods to the situation at hand will be successful over the long haul. Think open-source not proprietary, surrender not control, and collaborate not dictate. 9. Lack of focus: Leadership is less about balance and more about priority. The best leaders are ruthless in their pursuit of focus. Those leaders who lack the focus and attention to detail needed to apply leverage and resources in an aggressive and committed fashion will perish. Leaders who are not intentional and are not focused, will fail themselves and their team. Leaders who lack discipline will model the wrong behaviors and will inevitably spread themselves too thin. Organizations are at the greatest risk when leaders lose their focus. Intentions must be aligned with results for leaders to be effective. 10. Death by comfort zone: The best organizations beat their competition to the future, and the best leaders understand how to pull the future forward. Leaders satisfied with the status quo, or those who tend to be more concerned about survival than growth won’t do well over the long-run. The best leaders are focused on leading change and innovation to keep their organizations fresh, dynamic and growing. Bottom line – leaders who build a static business doom themselves to failure. 11. Not paying attention to the consumer: Leaders not attuned to the needs of the market will fail. As the old saying goes, if you’re not taking care of your customers, someone else will be more than happy to. Successful leaders focus on the consumer experience, which in turn leads to satisfaction and loyalty. The best leaders find ways to consistently engage the consumer and incorporate them into their innovation and planning initiatives. If you ignore, mistreat, or otherwise don’t value your customer base, your days as a leader are most certainly numbered. 12. Get Invested: Leaders not fully committed to investing in those they lead will fail. The best leaders support their team, build into their team, mentor and coach their team, and they truly care for their team. A leader not fully invested in their team won’t have a team – at least not an effective one. Never forget the old saying, people don’t care how much you know until they know how much you care – words to live by for leaders. 13. The “A” word: Real leaders are accountable. They don’t blame others, don’t claim credit for the success of their team, but always accept responsibility for failures that occur on their watch. Most of all, leaders are accountable to their team. I’ve always said that leaders not accountable to their people will eventually be held accountable by their people. 14. It’s the culture stupid: The lesson here is that culture matters – forget this and all other efforts with regard to talent initiatives will be dysfunctional, if not altogether lost. Don’t allow your culture to evolve by default, create it by design. The first step in cultural design is to be very, very careful who you let through the front door. People, their traits, attitudes, and work ethic (or lack thereof) are contagions. This can be positive or negative – the choice is yours. The old saying, “talent begets talent” is true, but talent that aligns with culture will produce better results than talent that does not. 15. Show some chutzpa: Leadership absent courage is a farce. We are not referring to arrogance or bravado, but real courage. It takes courage to break from the norm, challenge the status quo, seek new opportunities, cut your losses, make the tough decision, listen rather than speak, admit your faults, forgive the faults of others, not allow failure to dampen your spirit, stand for those not capable of standing for themselves, and to remain true to your core values. You can do none of these things without courage. Courage is having the strength of conviction to do the right thing when it would just be easier to do things right. On October 1, 2013, Dr. Lillian Lowery Maryland State Superintendent and her company will be touring our beautiful county to answer questions related to common core. After a firestorm of charges from parents in other parts of the state that questions from the attendees were screened and reworded at the Common Core meeting in Baltimore County on Sept. 19, the MSDE will repeat the same format at the Prince George’s County forum during the meeting at Springdale. The Prince George’s County meeting will be the final of four Common Core meetings in the state. So, instead of answering half the questions, the MSDE is opting for half-answering the questions. Please call the office of MSDE Superintendent Lillian Lowery at 410-767-0462 and request that the format of the meeting be open mic instead of written questions. The Common Core forum in Prince George’s County as indicated is tomorrow October 1 from 7-8:30pm at Charles Herbert Flowers High School in Springdale as indicated above. Don’t be a cattle! Ask tough questions. STAY INFORMED: Subscribe into our blog to receive free email notifications each time we post a new article. Thanks for supporting reform Sasscer Movement for Prince George’s County in Maryland! 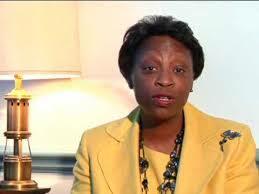 Dr. Lillian M. Lowery Maryland State Superintendent of schools has shown poor leadership skills and received an F grade for Common Core meetings so far. “Don’t Be a Cattle!” is a newly formed group that began after the arrest of Robert Small for asking a question out of turn at an MSDE forum on Common Core. In just one week, the group has amassed a Facebook following of more than 3,500 members and growing. “Many parents in attendance at the school board meeting on Sept. 19 were growing increasingly frustrated by the screening and rewording of the questions which were required to be submitted in writing. At no time in the ‘forum’ were parents allowed to ask direct questions, follow-up, or clarifications,” said group founder Ann Miller, whose YouTube video of the incident garnered national attention and has received a million hits. The MSDE adopted Common Core in June of 2010 in exchange for a quarter billion dollars in federal incentive funding through a Race To The Top grant which was conditioned upon adherence to Common Core. In all that time, when the MSDE could have been asking for public input and educating parents on the standards, instead there was an information blackout. The public is only just now, upon its implementation and after the expenditure of untold taxpayer dollars, even learning about the new overhaul to our education system. Instead of putting out propaganda videos that avoid direct questions, “Don’t Be Cattle!” calls upon Superintendent Lilian Lowery to finally answer direct questions from parents, teachers and the public – openly and honestly without editing. The list of questions below was compiled by parents who attended the meeting in Towson and feel their questions were never addressed. They are only a few out of many unanswered questions. The group is also requesting the protocol of the Question and Answer portion of the meeting be changed to open mic, rather than written questions. The final MSDE Common Core forum is on Tuesday, Oct. 1 at 7pm at Charles Herbert Flowers High School in Prince George’s County. All of the academics on the validation committee for Common Core refused to sign off on it. What evidence do you have that Common Core will even be effective in improving education? How is selling out our local education system to national standards in the best interest of our children? Why are we going backwards in adopting a one-size-fits-all set of standards? What about special needs and GT children? Why are we adopting Common Core when testing standards have not rolled out yet? What are the costs to the state of implementing Common Core? How will MSDE prevent data collection from being shared with outside entities in light of the NSA and IRS scandals? With nearly 35% of the States that adopted Common Core making motions toward rejecting the standards, is it wise to gamble with the future of Maryland’s children’s education by moving so swiftly to implement Common Core? If Maryland schools were ranked number one in the nation, why are we spending millions to abandon what was working? Can parents view what data is being collected on their children? How can parents opt out? What is the policy when parents refuse to allow their children to be subject to Common Core testing as permitted by law? The push to align the SAT and other tests to Common Core standards will affect even private schools and home schoolers. How does this contribute to school choice? What guarantees do parents have that the requirements for further grants will not become increasingly over-reaching each and every year? It is time to remind the Maryland State Board of Education that the parents pay the school taxes and entitled to ask questions and God forbid the statement or question is longer than two (2) minutes..
Beginning next year, We are going to do the right thing and start putting people in office that will respect the law and stand up to power hungry unions and beaureaucrats, and their dictatorial ways. It’s time! We must get our act together, for goodness sake!